G’day good people of Jamaipa. I’m reesan from loneleeplanet and I am honoured to be here writing a guest post on jamaipanese.com. Inspired by Jamaipanese’s coverage of the Tokyo 2016 Olympic bid, in this guest post I explore Tokyo’s contribution to the Olympic Movement when they played host in 1964 to the Games of the XVIII Olympiad. Tokyo was the host of the 1964 Summer Olympics winning the rights to the Games in 1959 in the IOC’s first round of voting over bids from Detroit, Vienna and Brussels. It was the first time that the Olympics were hosted by an Asian country. Originally Tokyo was awarded the right to host the 1940 Olympics however due to rising world tensions and Japan’s war in Asia the 1940 Games were rescheduled to Helsinki and then eventually canceled altogether due to the outbreak of World War II. 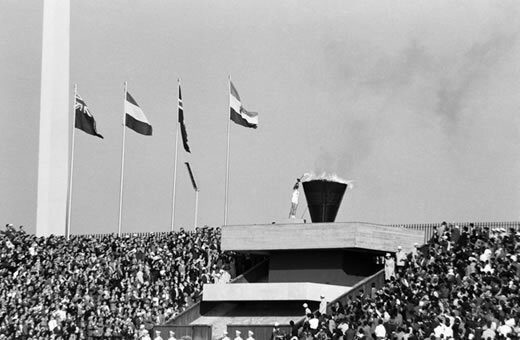 The 1964 Tokyo Games were a proclamation by Japan that they had emerged from their post-war reconstruction and were now a major economic power and technological leader. This proclamation was embodied in the selection of Yoshinori Sakai to light the cauldron with the Olympic flame. Yoshinori Sakai (also known as ‘Atomic Bomb Boy’) was born on the outskirts of Hiroshima on 6 August 1945, the day that the atomic bomb was dropped on Hiroshima. As the final torchbearer he symbolised Japan’s rise from the atomic ashes of war. A total of 93 nations competed at the Games of the XVIII Olympiad. South Africa was banned from participating as a rebuke to its racist policy of apartheid. Indonesia and North Korea were also notably absent after voluntarily withdrawing their teams. Two new sports, Woman’s Volleyball and Judo, were introduced to the Olympic programme. Interestingly Japan took out gold in Woman’s Volleyball and gold in 3 out of the 4 inaugural weight classes in Judo. However, Japan was left heartbroken as the most coveted prize of all – gold in the open class – went to the Dutch giant Antonius Geesink. The Games were officially opened by Emperor Hirohito (aka Emperor Showa) at the opening ceremony on October 10 1964 and concluded at the closing ceremony October 24 1964. The main stadium, National Olympic Stadium (Kokuritsu Kasumigaoka RikujÅ KyogijÅ), is located in Kasumigaoka, Shinjuku, Tokyo. Takashi Ono, a Japanese gymnast, took the Athlete’s Oath on behalf of 5,151 participating athletes – 4,473 men and 678 woman. 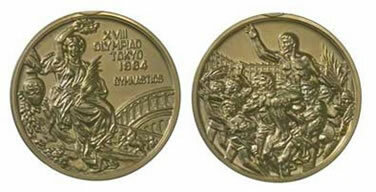 Japan was hailed as a technological leader as a result of the Tokyo Olympics. These were the first Games to not only be broadcast in colour but via live satellite. 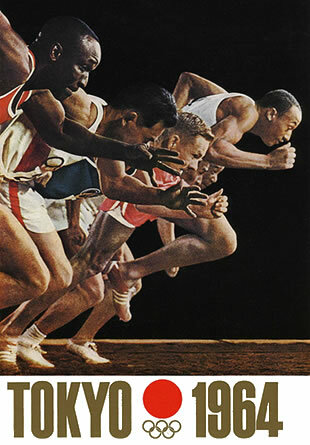 Furthermore, it was the first time in Olympic history that computers were used to keep results including the introduction of new electronic timing devices, variations of which are still used today. Interestingly, the first shinkansen line opened in time for the Games, just 9 days before the Opening Ceremony. These Olympics had greater representation from Africa and Asia than any previous Olympics with the following sixteen nations making their debut: Algeria, Cameroon, Chad, Congo, CÃ´te d’Ivoire, Dominican Republic, Libya, Madagascar, Malaysia, Mali, Mongolia, Nepal, Niger, Zambia, Senegal, and Tanzania. The most successful athlete at the Games was American swimmer Don Schollander who won four gold medals and set three world records. However special mention should go to Ethiopian Abebe Bikila, having become the first-ever black African gold medallist four years earlier, successfully defended his marathon title. Impressively, he did it only six weeks after having his appendix removed. This was the 5th Olympics attended by Jamaica counting 1960 when they attended as part of the West Indies Federation team and Jamaica’s first Olympics as an Independent nation. Jamaica’s 21 member team did not win any medals but came close in many events including the 4×100 sprint where Jamaica placed 4th. Guess who owns the 4x100m world record now? The footage is extracted from the a documentary was made in 1965 entitled Tokyo Olympiad which chronicles Tokyo’s hosting of the 1964 Olymic games It was directed by Kon Ichikawa, excepts from the documentary can be seen here and here. For more on the Games of the XVIII Olympiad check out reesanâ€™s article on Australiaâ€™s participation at the 1964 Tokyo Olympics. thanks for the post Lee …please keep them coming. Hence, Tokyo’s infatuation with trying to win the Olympic bid..
good point @peter, they do look very roman indeed. First time and Asian country hosted the Olympics and the debut of 16 new countries! 1964 seems like such a late date for so mnay new countries to enter. Wow amazing insight I never knew that. Keep up the good work Reesan. It is amazing to think that Tokyo was able to put on the Olympics less than 20 years after their city was completely destroyed. Amazing. amazing indeed, Japan is really an extraordinary country. i agree @Tornadoes29, it was an amazing feat. they actually targeted the 1960 olympics, an even shorter timeframe, but this was resisted as melbourne had hosted the 1956 olympics and the general feeling was not to have two in a row in this (similar) timezone. Cool post! Thanks for all the info. And good job! I didn’t know about these interesting events that occurred up to the point of the Olympics in Japan. The Shinkansen being ready for the Olympics 9 days before the opening ceremony is fascinating; it sounds like things were cut pretty close with timelines. I went to the Tokyo Olympic stadium a few years ago just to get a feel. It was awesome, so your article has proven very interesting for me. Wow, a lot of stuff in there I never realised. Nice, interesting post Lee. That was interesting – thanks. I had no idea about this so I found it particularly good. Cool … I’m fascinated by the history of the olympics so thought this was very interesting … Good bit of insight from the Japanese persepective too. Keep it up Reesan. Hey Lee….this is an interesting blurb about Olympic and Japan history. I especially enjoyed it as I am interested in history and why things happened the way they did. Thanks for posting it. This really was quite a feat for a city rebuilt from ashes. An opposite tale to Sarejevo hosting the games, I suppose. I like the theme of the Olympics as a celebration of accomplishment. Living in Tokyo today I could only think of what a headache the 2016 games would be. 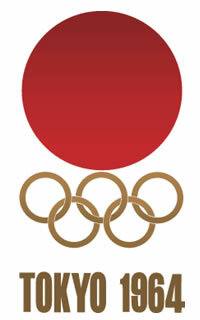 interesting observation… sarajevo had a pre-war olympic success as opposed to tokyo’s post-war olympic success! excellent bit of research there. fascinating read! That stuff is just general knowledge, Reesan! A little know fact was that 1964 saw a bumper harvest in Jamaica which may explain why they failed to post one medal that year. Rusty Bolt (local crop owner) had a son shortly after that season and was going to name him Wesley. Unfortunately, Rusty was so stoned at the Christening he named his son Wellesley. Wellesley went on to own his own grocery store where he could pedal his Father’s produce. Wellesley married Jennifer (whose parents were clearly not stoners otherwise she would have been named Jennenifennenner) and they had a daughter, Sherine and two sons, Sadeeki and Usain; the world’s fastest man and Olympic gold medalist. Japan’s rise from the ashes of war was definitely amazing. Interesting story about the torch bearer! I wonder why Indonesia didn’t join. I can imagine what reason North Korea had though. I love Tokyo and I love that the Japanese spirit could put on such an event after suffering so much just 19 years before. Anyone else would have balked at the idea but in Japan nothing is impossible! Have any of you seen the film “Akira”? The government keeps its secret project hidden underneath the olympic stadium! Amazing insight I never knew that, a nice piece of Olympic history for the buffs. Well, I also love olympics games, several have been passed, now looking at up coming event in Qatar.